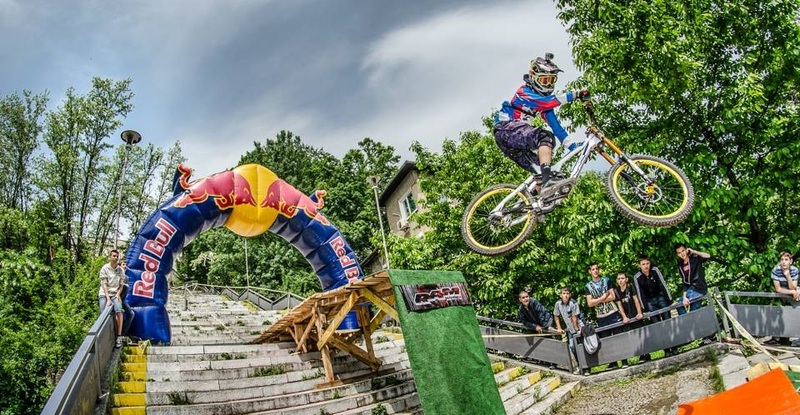 The seventh annual race in downhill mountain biking takes place on May 20, 2017, in the city of Ústí nad Labem. 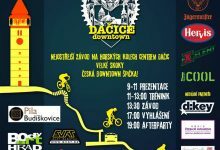 To accommodate the tradition, bikers start their race in the open-air cinema, yet, for the first time, they will leave its area and pedal directly to the city centre. The reward in the finish will be a music stage with attractive programme. 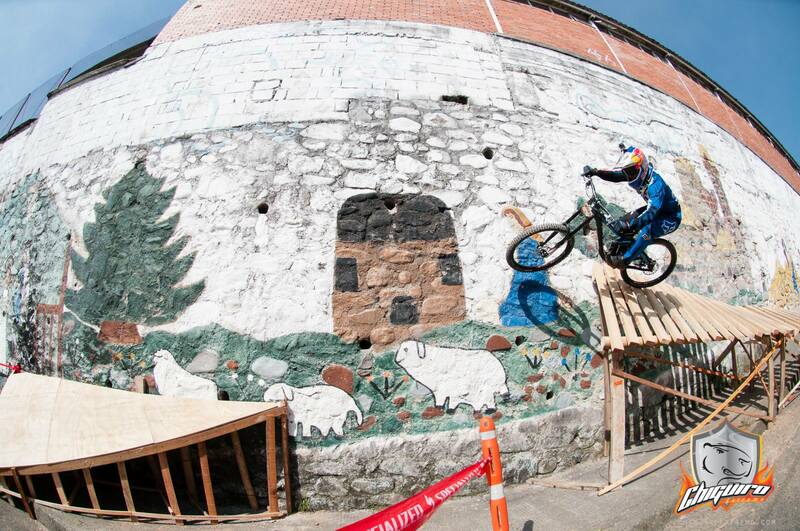 The event is part of four-day outdoor festival NA PLNÝ KULE (FULL BLAST). 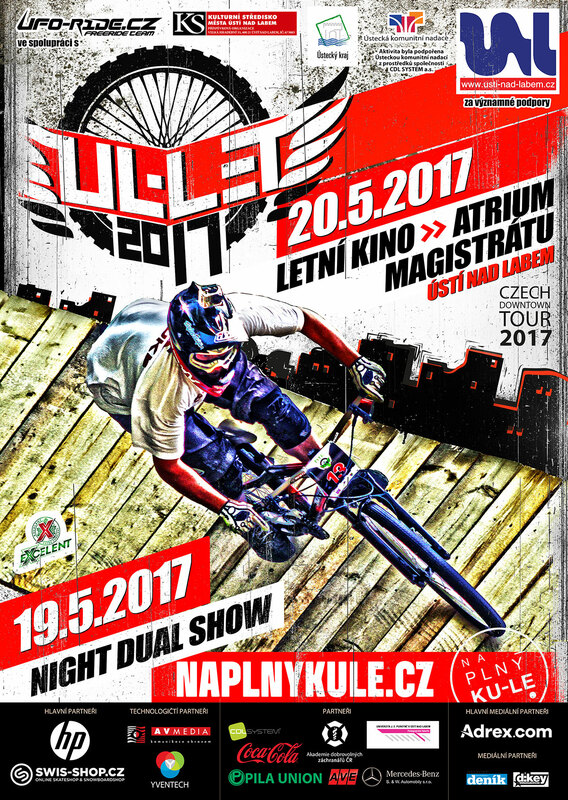 For the riders, the programme starts on Friday, May 19, by night dual slalom race NIGHT DUAL SHOW. 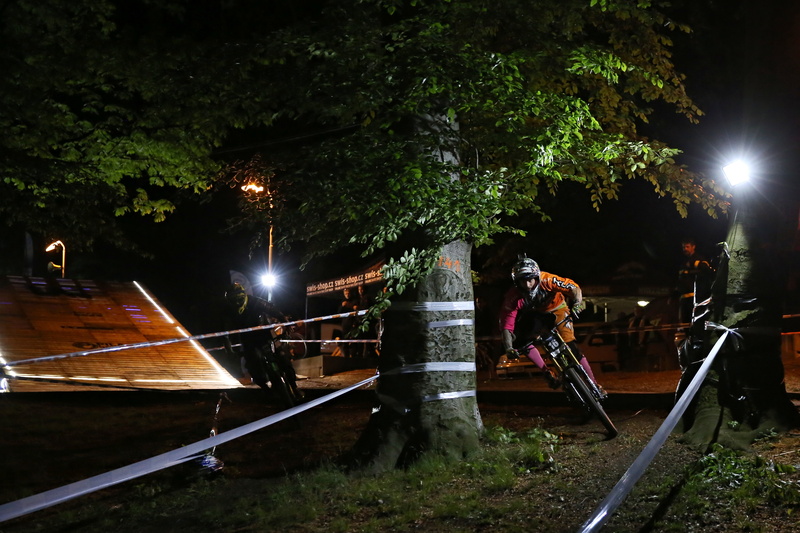 The audience may expect fierce elbow-to-elbow duels on the spectacularly illuminated course. 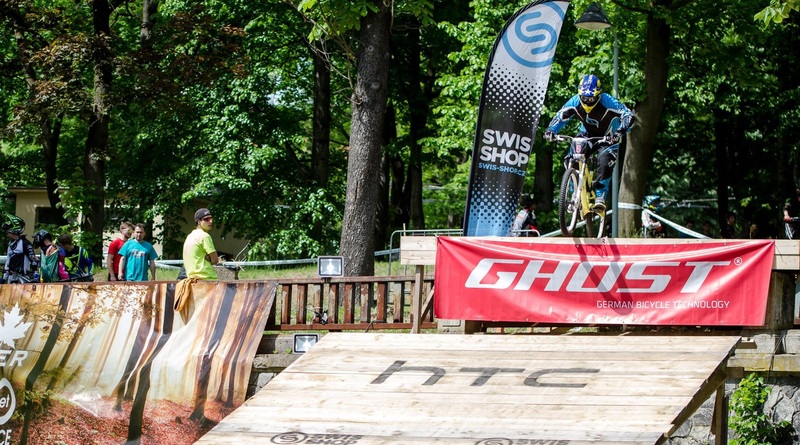 The show starts with the qualification round at 6.00 PM and finishes at 10.00 PM. As well as last year, this race will only take place in the open-air cinema. 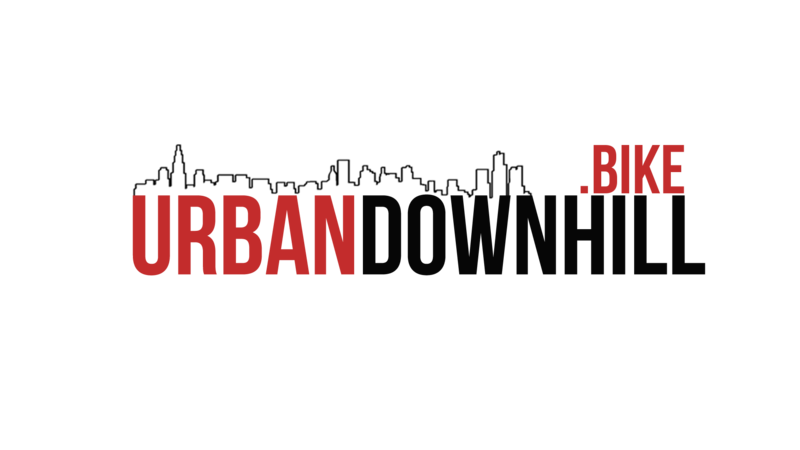 Spectators will surely particularly love DJ´s and Whipmaster contest – an event where the contestants try to achieve the longest whip. 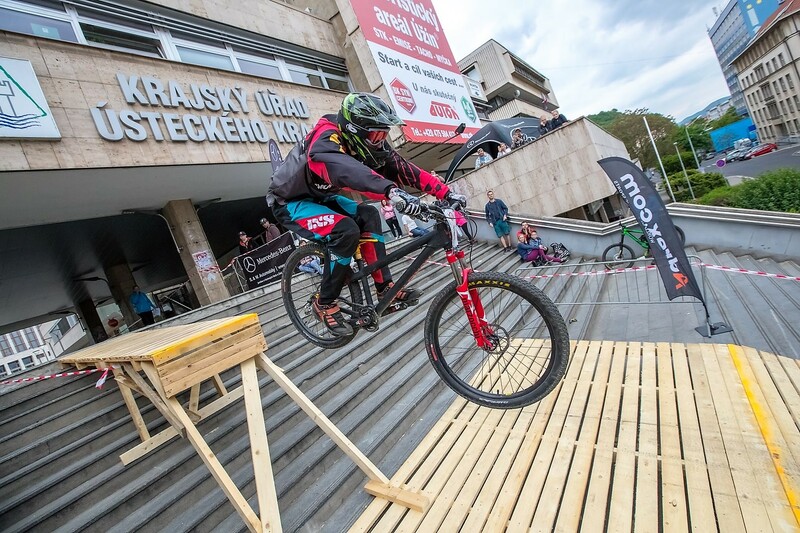 For Saturday, the organizers from Ústí nad Labem’s freeride association prepared 900 metres long genuine city downhill, so called downtown. 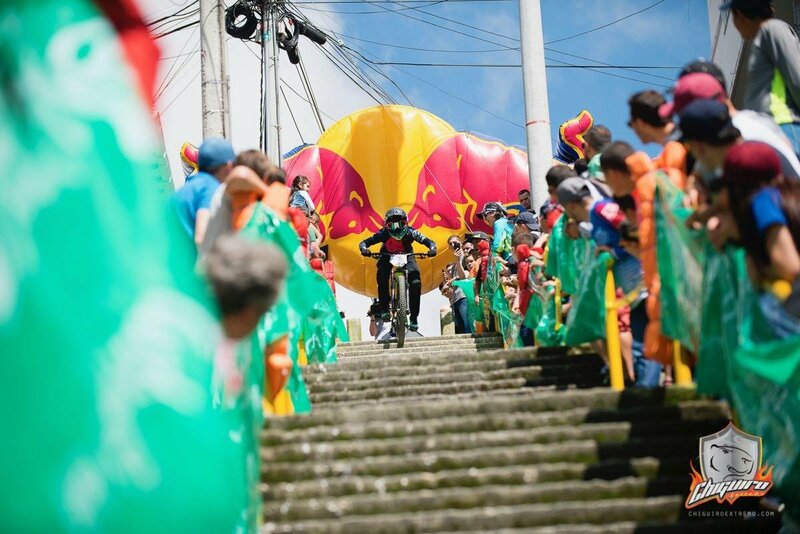 In the open-air cinema, the legendary jump Mastodont will not be missing, while at the bottom section, the riders will be challenged by a jump up the stairs and a banked turn. 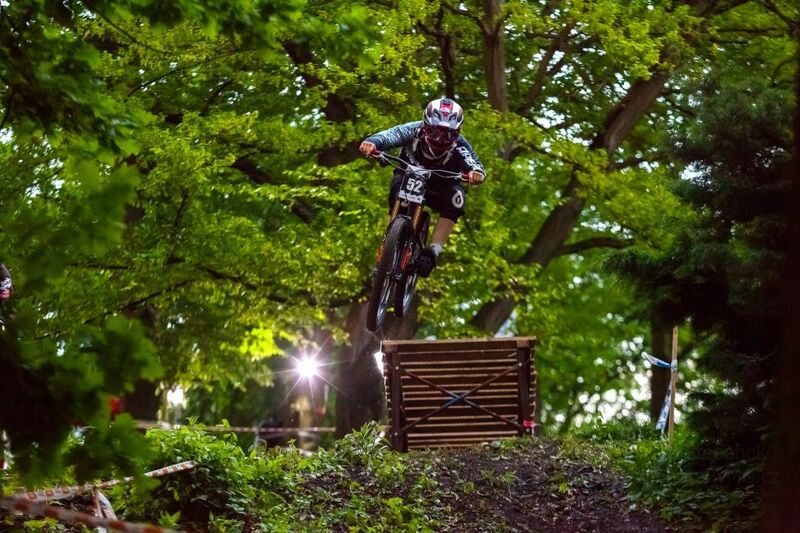 Various types of surface and introduction of urban landscape promise a big deal of fun both for riders and for the spectators. The race starts at 1.00 PM, the start of the finals is planned for 4.30 PM. Three weeks before the start of the race, 70 competitors had already been registered. “I believe that, despite the time collision with other events, we are going to get over the last year’s number of 103 riders from all corners of the Czech Republic and that top riders won’t be missing. 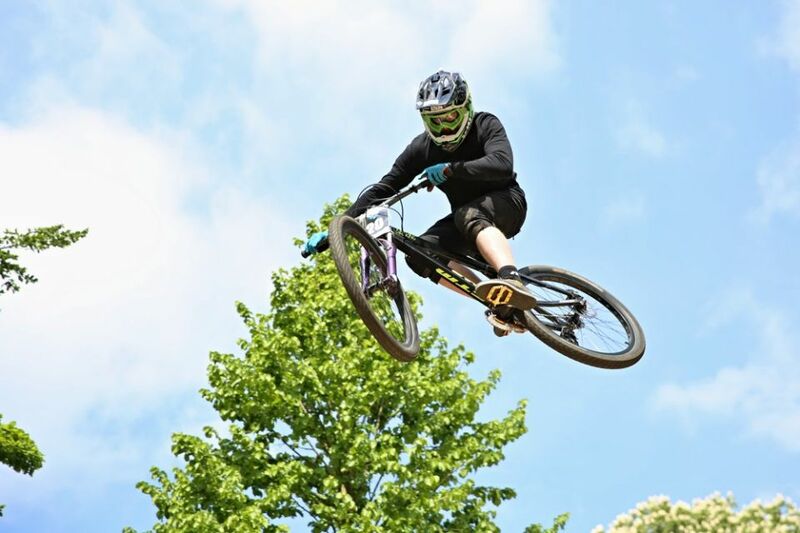 Ústí nad Labem will be represented by Simona Jirková, the second best downhill rider in the Czech Championship, as well as by riders from UFO-RIDE.CZ team, who also organize the event. 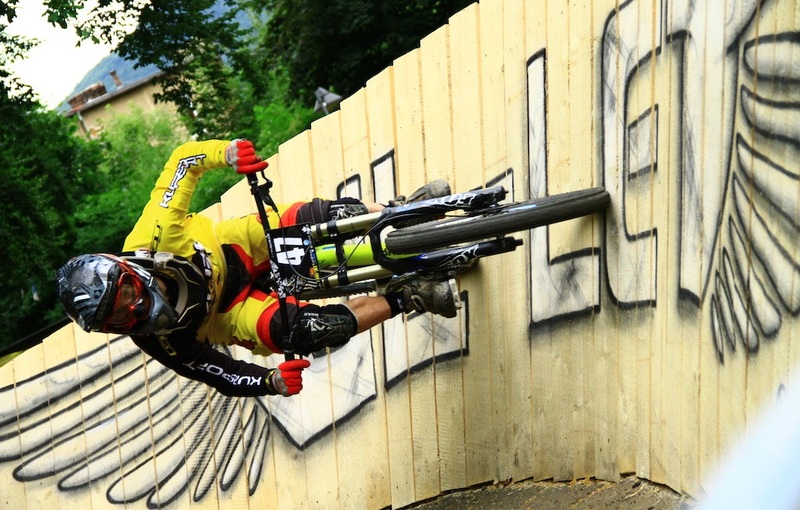 The race is the second episode of the Czech Downtown Tour, a series of downhill races in five Czech cities,” says UL-LET director Vítězslav Stránský. The audience can watch the races on a LED screen as well as on the internet. Highlights will also be reported on TV by ČT Sport. During the event, there will be concerts of five bands presenting various music styles on the stage in the atrium of the municipal council office, between squares Lidické and Mírové. You can now be pretty sure that, after a year, this city in North Bohemia will go full blast again.